After careful consideration and planning, my little girl and I adopted a dog from the animal shelter. We were ready for the responsibility and my travel had slowed down. We made the trip to the animal shelter and saw the most beautiful dog. He was well behaved, he was the only dog who didn’t bark like crazy. My daughter fell in love with him instantly. I told her we would go home and think about this over night and then come back. There was much to consider adopting this dog. He big, had lots of hair (which meant there would be lots of shedding) and would need extra walks and exercise. Not too mention all the food he would eat. The next day we go back to the shelter and we take him out for a walk. Yes, I fell in love with him too! OK, this is our dog, he will be a part of our family. We adopt him, micro chip him, get his shots, buy the toys, the leash, the food, and crate. My daughter named him Mordecai, Mordy for short. Mordy was the perfect dog! He was so well behaved, not one accident in the house, walked nicely with us on the leash, he was affectionate, followed us around the house, and he NEVER barked. Because I am a single mom, Mordy also brought with him a sense of security, after all, who would break into a house with a dog this big?! Everyone commented on how beautiful he was. He walked so proud. He held his head high. “No, he is a husky mix.” I would answer, because that is what the papers said. Here I got a dog and it turns out to be a wolf. Everyone saw it but me. This began to explain a lot. After the honeymoon period, Mordy’s wolf side started to show. You see, in a wolf pack there is only one alpha. In my home Mordy viewed me as the alpha. He went from the best dog ever, to a wolf challenging my position as alpha. It became quite intimidating, let me tell ya. 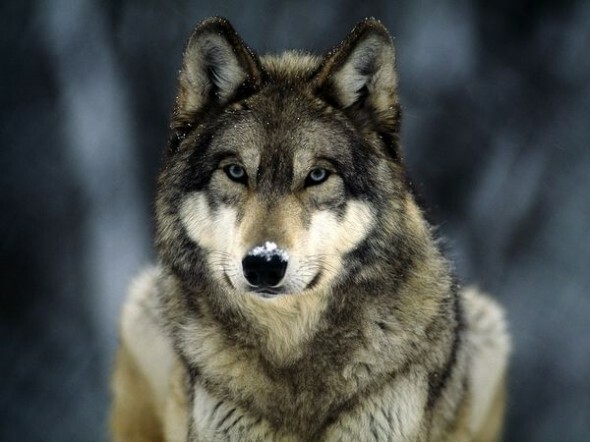 What I viewed as a well behaved dog, was a wolf in waiting. He never barked, because wolves don’t bark. He could have never been the watchdog protector, because he would assume the alpha (uh, that would be me), would take care of any intruder. He would go back and forth, one minute the best gentle dog, and then the next minute a wild wolf. It was unnerving sleeping with one eye open. I was sad when I had to find Mordy a new home. He is now with a man who knows how to handle wolves. I learned a valuable lesson from this experience. Wolves do not make good family members. They are to be in the wild. You can not tame a wolf. I also learned another lesson. Sometimes people are like wolves. The Bible warns us about wolves in sheeps clothing. I met a few wolves. And I think I have learned how to spot them. Then he will watch for your vulnerabilities. He will challenge you. He will bite you right in the backside. Not only will you begin to feel “not safe” with him, you will not be safe period! Because it is not in his interest to protect you. 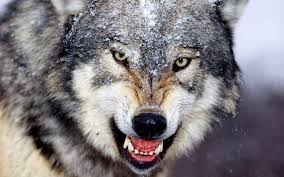 Remember, he wants to dominate you, because that is what wolves do. He will begin to shed his beautiful coat, leaving a mess for you to clean up, and he will no longer be attractive. It starts little by little, at first you will doubt what you are seeing. After all, he was so beautiful, how did he get so ugly? Remember the walks you used to enjoy? Forget that! Because he doesn’t want to walk with you anymore; now he just wants to pull you into the oncoming traffic. This is how to protect yourself from being deceived into bringing a wolf into your home. 1. Listen to the people closest to you. If they cry wolf, you just might have a wolf. 2. Don’t fall for the pretty coat. Eventually he will shed the coat. What’s underneath is what is important. To be more clear, the Bible says it like this, you will know them by their fruits. Look for these fruits. But the fruit of the [Holy] Spirit [the work which His presence within accomplishes] is love, joy (gladness), peace, patience (an even temper, forbearance), kindness, goodness (benevolence), faithfulness, Gentleness (meekness, humility), self-control (self-restraint, continence). Against such things there is no law [that can bring a charge]. 3. A wolf will not protect you! If he doesn’t have your best interest, if he is self-centered, if it’s always about him, then you may have a wolf. RUN!!! You have a wolf! I loooooooove this!!! Everything is on point! And that analogy? PERFECT!